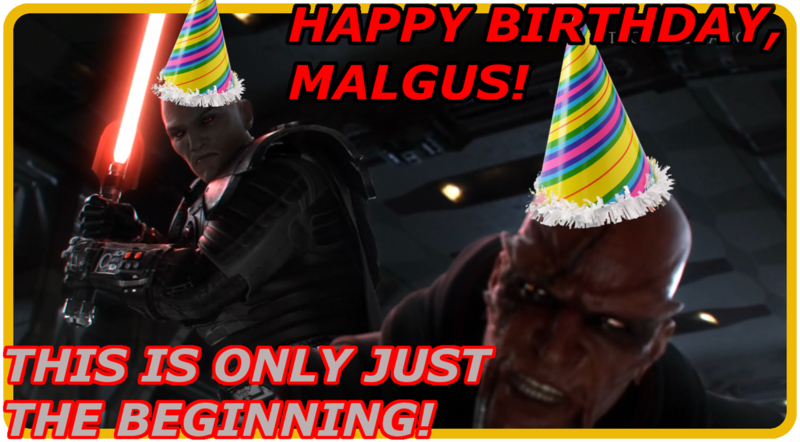 1 Year of Darth Malgus RP! The title is straight on the nose. Last month it had been a year since the administrative downfall of our previous Enjin site and community migration to our new home here at Darth Malgus RP, marking this website’s first anniversary. Those first few weeks were rough, but this community successfully and efficiently rebuilt itself on this shiny new website, and I may be a tad bias, but if it you ask me, I think it looks better. Aaand then came the server merges that prompted our rename and rendered all of our the links in our posts and signatures obsolete. But bravely we still slogged on through it and adjusted each and every link in our threads to take you to its intended destination. Let’s not do that again though, please. This all goes to show that this website receives a good share of tender love and care from the Malgus RP community, who it certainly cannot exist with without. A few months of being knocked down and getting back up again made us better than ever before! But the praise doesn’t belong to the Reporters, Moderators, or the Commander-in-chief, but to the entirely of the community who logs in here and shares their creativity with the rest of the server, gets roleplay rolling and sparks constructive conversation. You deserve a thumbs up! As there’s no reason for the admin staff to do anything without you. All in all, we’ve had our highs, our lows, but we just keep chugging on and solving our problems, regardless of how great an obstacle bars us from moving forward. 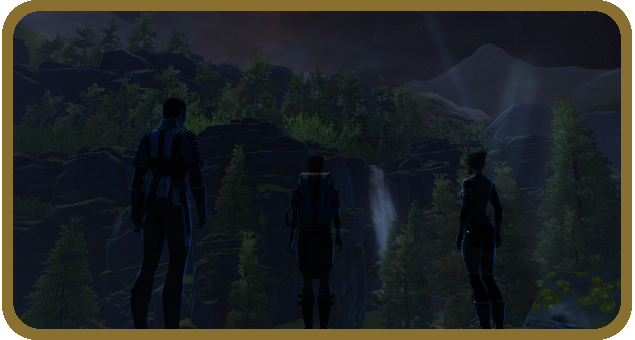 Whether or not you're a frequent reader of the Malgus-RP front page articles and happen to have any suggestions of what you'd like to see on the FP, please take a moment to deposit your thoughts in this thread. Picking up from last month's issue, the second installment to the Party Concept Spotlight discusses relationships with party members and the breaking of a party. It's time for another Community Highlight, and this time I managed to persuade the wonderful Thrautana - also known as Vaken, Information Central, and Empress only knows how many other names - to answer a few questions. 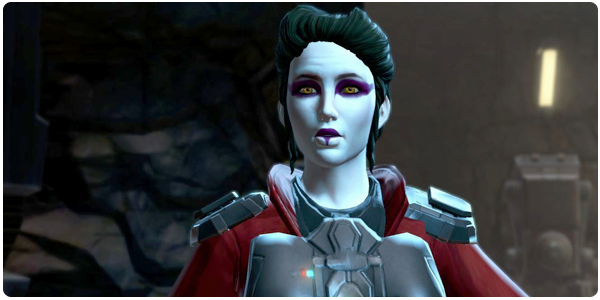 Thrautana is a profilic roleplayer on the Darth Malgus server on both factions. Currently their open initiatives include The Vaken Project, the Concourse Market Day, and The Dealer's Den, all of which are organized with the awe-inspiring hivemind that is The Concourse Commerce Coalition. This group of players drive a lot more roleplay than many likely realise and their work is well worth checking out. Thrautana is also working some Enjin magic by being one of our community thread organizers on the DMRP forums - obligatory shout out for all their hard work. If you have read it, Thrautana has likely already catalogued it. Keep on reading for the Q&A!